Deep in the back of America’s industrial neighborhoods grows an agricultural revolution. At the heart of it is Todd Hades, founder of Xtreme Urban Farming, and the hot fruits of his labor: the pepper melon. And it’s about to change urban-farmed hybridized produce forever. 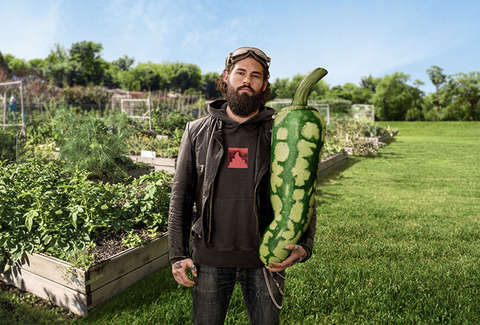 If you’ve never heard of Todd Hades, Xtreme Urban Farming, or pepper melons, you aren’t alone. The Xtreme team’s footprint is small and confined to Hades Firehaus, a warehouse Hades built up from nothing but hard work and his inheritance. In fact, besides a small mention in the print edition of the Journal of Organic Produce Chimerism, hybridic melons are a fairly unknown product of microbiological innovation. But that’s about to change. Jansen was skeptical about marrying the sweet flavor of melon with the spicy flavor of habanero and jalapeño. In 2010, the Journal of Organic Produce Chimerism published a study on the early findings of splicing juxtaposing produce profiles into a single organism. But its findings were largely inconclusive, and, according to the study’s authors, highly volatile. According to the Journal, it resulted in at least one lab incident, marring the results and disfiguring the author. It was so successful in the Pacific Northwest’s microclimate farm-to-table community that Hades has already heard of other urban farmers planning to follow suit. But so far, there hasn’t been much progress. However, after observing the pepper melon demand from culinary communities like vegans, freegans, the slow food movement, and the found food movement, it’s clear there’s plenty of room for fellow innovators among urban farmers. After all, being so close to the bustle of the city is what gives urban-farmed foods their flavor. If Xtreme Urban Farming and pepper melons are any indication, this is just the beginning of a new movement in food.